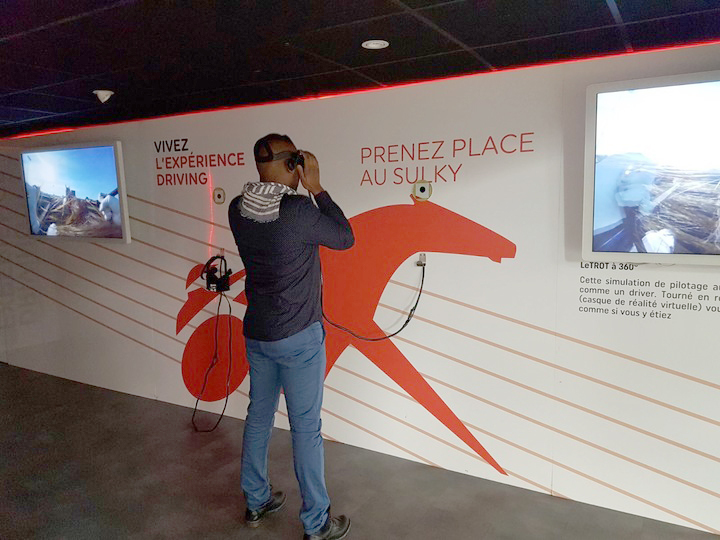 A horse race in VR is possible and we made it with the help of the company organizing races at Vincennes hippodrome de Paris, Le TROT, who works on the development of trotting races in France. 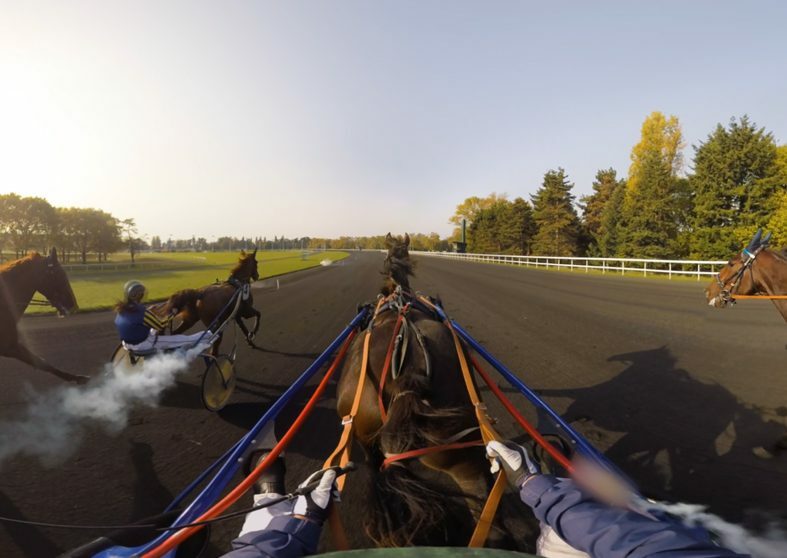 In order to promote Le TROT races and to raise awareness of this discipline, the choice of VR immersion is effective and very fun. The 360 video simulation is accessible to everyone at grand hall de l’Hippodrome. Through a VR headset, the Oculus Rift, equipped with 4K technology projecting high-definition images, you will live the crazy race of a driver aboard a sulky drawn by a horse. An experience at 50 km/h as if you were there, an unforgettable race in which you will hold the reins and fly over the track. For such technical requirements, we used several Gopro cameras equipped with gyro-stabilizers necessary for the comfort of the spectator, as well as a DJI Inspire drone. The challenge was to make this virtual reality experience in motion, to take the spectator on a sulky in the middle of the race and to create the best possible sensations. Le TROT trusted us and we took the challenge successfully. Digital Immersion is at the forefront of innovation in virtual reality with constantly renewed equipment, recognized know-how and immediate adaptability. We offer our services to companies that want to innovate and immerse the audience in the brand’s world. 360° video, how much does it cost ? 360° versus Virtual Reality, what’s the difference ?